Subaru aims to create accident-free cars not driverless cars. Take that, Apple! Would you buy a self-driving car? Subaru likes to do things a bit differently than other automakers. You won’t find Subaru rushing to get into the self-driving car business or build an all-electric car soon. Many automakers tout their self-parking and driverless cars, but Subaru has a different end goal. Subaru Corporation is not aiming to develop driverless cars, their goal is to make driving safer for consumers. Their new-generation 2018 Subaru Crosstrek features more safety features than ever before. It’s now available with Blind Spot Detection and Rear Cross-Traffic Alert, Blind-Spot Detection w/Lane Change Assist, Pre-Collision Throttle Management, and Pre-Collision Braking. Why does Subaru focus so much on safety? In an interview with Forbes, Tetsuo Onuki, chief general manager at Subaru’s technical research center, said “We’re not aiming to develop driverless cars. What we're trying to do is make driving safer for people.” Subaru says their number one priority is safety, and their top safety ratings speak for themselves. It’s because of their ring-shaped reinforcement frame and their EyeSight driver assist technology. Read here how their safety system is saving lives. Subaru will be developing an all-electric vehicle, and they are expected to use an existing vehicle in their lineup when they bring out a new EV by 2021. The hybrid technology will be installed in the Crosstrek crossover in North America (XV in other global markets) and the plug-in-hybrid will likely be launched next year as a 2019 model. Subaru Corporation will be spending twice the amount on Research and Development in 2018 ($1.2 billion) for Crosstrek’s electrification than they will spend this year. They will also spend more on their driver assist technology. Subaru Corporation is not aiming to develop driverless cars, their goal is to make driving safer for consumers. 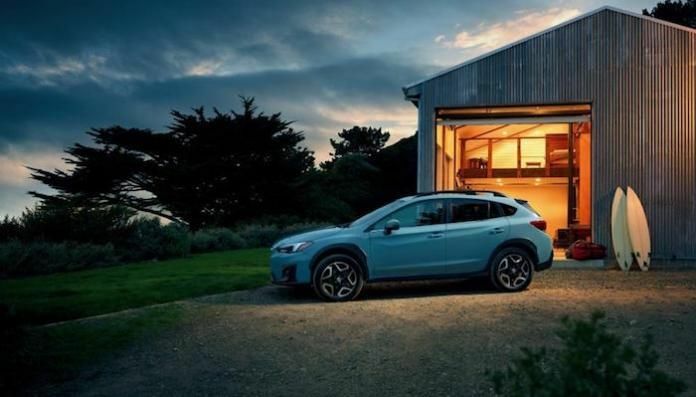 The new-generation 2018 Subaru Crosstrek crossover is their latest safe creation. Fan poll: Would you buy a self-driving car?